Book a ticket, pack your bag and go. The world is rapidly changing and animals are disappearing. Borneo is a place that captures your imagination. The third largest island in the world, it was isolated from the rest of the world for most of the last 1,000 years. It has suffered some of the greatest habitat destruction on the planet, but untouched wilderness still exists. There are species of animals, plants and insects that don't exist anywhere else in the world. I dreamed but never imagined I would get there. When the Canadian dollarfell a few years ago, it became easier to travel to Bali for a holiday than Hawaii. Dreams put your wishes into the universe and Borneo was just a few plane rides away from Bali. Borneo is actually divided into three countries: Brunei, Malaysia and Indonesia. The eco tourism and transportation is excellent in Malaysia. I was incredibly impressed with the efficiency of the country. https://www.borneoecotours.com/ is excellent. 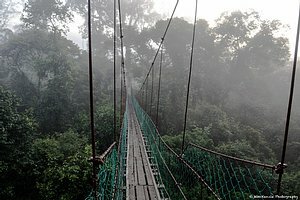 The Danum Valley Conservation Area pictured above, is the most pristine and tallest rainforest in the world. It hasn't been logged, inhabited, hunted or experienced any other human interference. There is a nursery there that studies and helps sustain the 15,000 plant species that grow here. 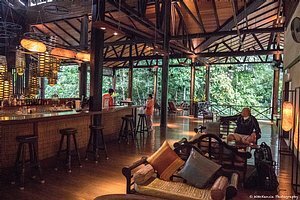 The Borneo Rainforest Lodge with its cabins, was once the research station used by scientists until the late 1990's. I'm proud to say I did walk the amazing 300m tree top canopy walkway. 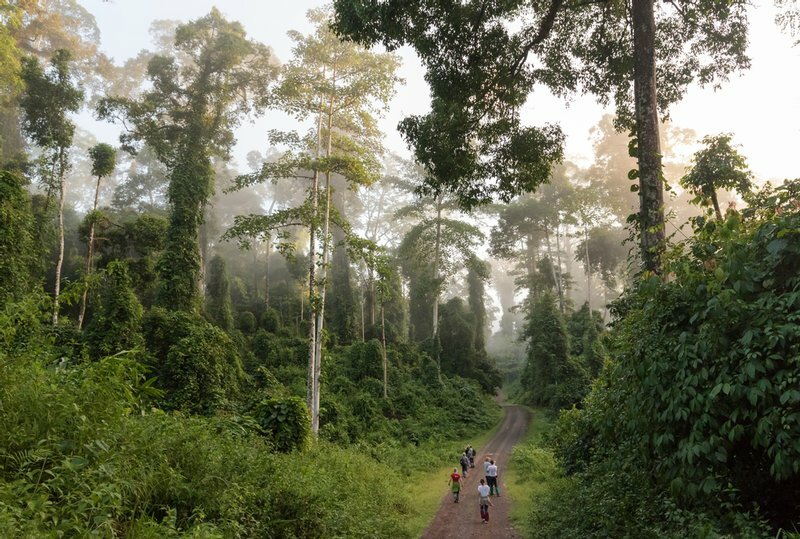 The rangers are excellent here and be prepared to see tarantulas, flying squirrels, mouse-deer, gibbons, Orangatans and 270 species of birds and of course, Pygmy Elephants if you are lucky. Lesson learned - never pack your away your camera gear until you are at the airport. I was disappointed not seeing a Pygmy Elephant during my travels in Borneo. Enroute to the airport on the road leaving the Danum Valley stood a mature, male Pygmy Elephant for a few minutes. My camera gear was packed away, but a perfect goodbye and memory of Borneo nonetheless.